Adnexal masses found in the female pelvis are perhaps one of the trickiest abnormalities to diagnose. These masses are typically found in the ovaries and have a wide range of causes and characteristics. Because of this, it is extremely important to pay close attention to their slight differences in order to begin proper treatment. In the end, only a skilled sonographer with years of experience will be able to tell the difference and properly describe different types of adnexal masses so that the doctor can properly manage the patient. One of the most important factors when determining what type of adnexal mass a patient has developed, is studying and becoming familiar with recurring patterns. In women younger than 20 years of age, the most common adnexal masses are malignant ovarian neoplasms, malignant germ cell tumors and granulosa cell tumors. By age 40, the most common are malignant ovarian neoplasm of epithelial origin. It has been noted that the most predictive elements for assessing the risk of malignancy in an ovarian mass are age, presence of solid elements and the presence of central arterial flow in these solid elements. Other important factors to consider when evaluating ovarian lesions are the appearance of wall structure (thickness, internal and/or external papillae), internal echo structure (sonolucent, echogenic, low level echoes or mixed echogenicity), shadowing, blood vessels and many more. All of these are crucial skill sets you want to make sure your sonographer possesses in order to offer your patients high-quality care. Because there are so many different types of adnexal masses that can appear in the ovaries or female pelvis, they can easily be misinterpreted by an inexperienced sonographer. 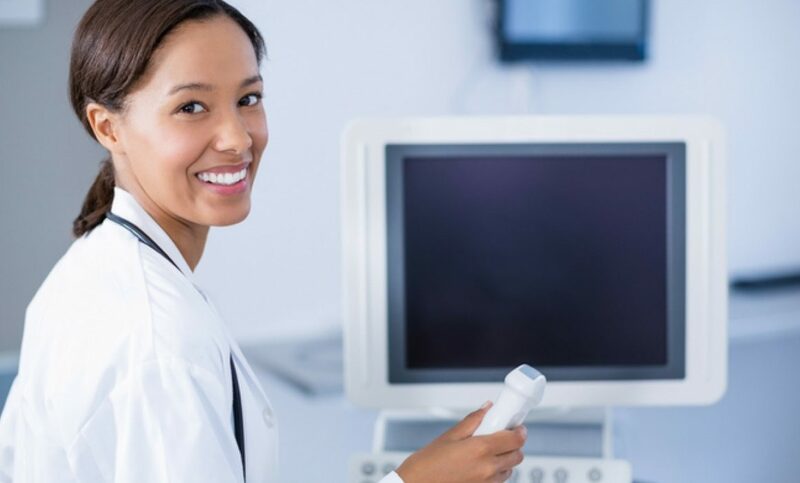 Therefore, at Soundwaves, we would like to offer you, not only our highly trained sonographers, but also, our rich foundation of knowledge acquired through years of working in the industry. At Soundwaves, we make sure our staff attends ultrasound conferences and discussion panels all year round, in order stay up to date with the latest in sonographic findings. We pride ourselves in setting a standard in our industry and you should too. Find out more about Soundwaves by visiting SoundwavesImage.com.